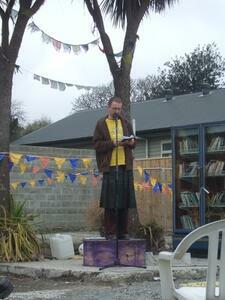 Ryan Reynolds from Gap Filler at the opening of the Think Differently Book Exchange. 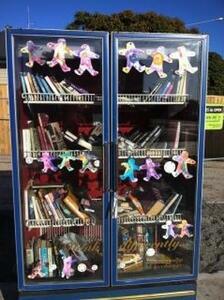 The Think Differently Book Exchange fridge, now decorated with paper cut outs and filled with books. 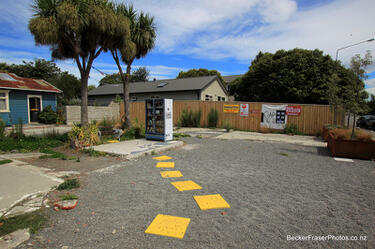 Photograph captioned by BeckerFraserPhotos, "Community book exchange, at the corner of Kilmore and Barbadoes Streets". 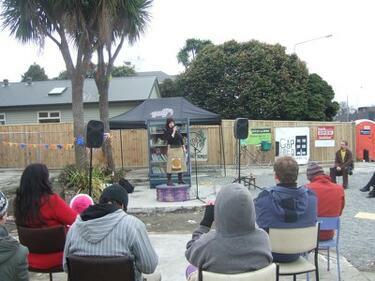 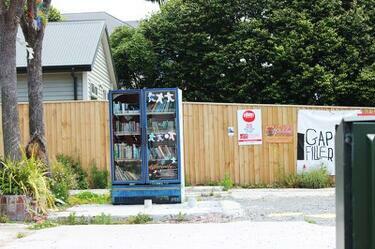 Photograph captioned by BeckerFraserPhotos, "Community book exchange, corner of Kilmore and Barbadoes Streets". 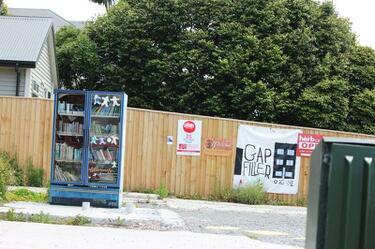 A photograph captioned by BeckerFraserPhotos, "The Book Fridge on the corner of Barbadoes and Kilmore Streets". 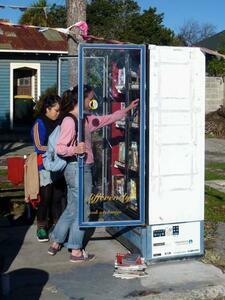 A girl choosing a book from the Think Differently Book Exchange fridge. 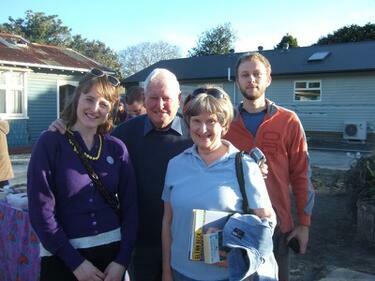 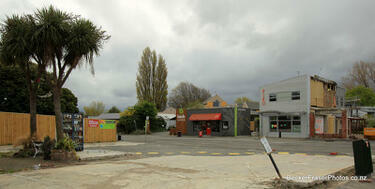 A PDF copy of pages 166-167 of the book Christchurch: The Transitional City Pt IV. 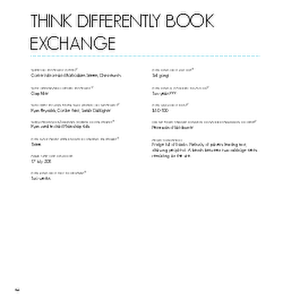 The pages document the transitional project 'Think Differently Book Exchange'. 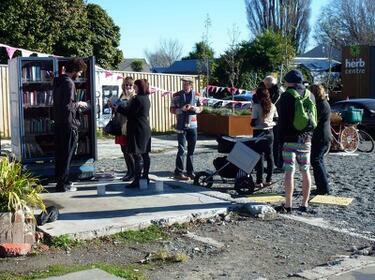 Coralie Winn and Ryan Renolds from Gap Filler with members of the public at the opening of the Think Differently Book Exchange. 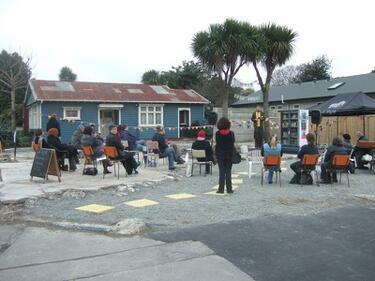 People listening to a reading at the site of the Think Differently Book Exchange. 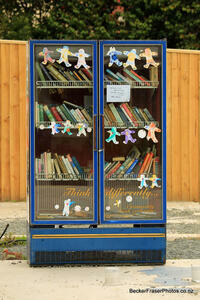 Story telling at the site of the Think Differently Book Exchange. 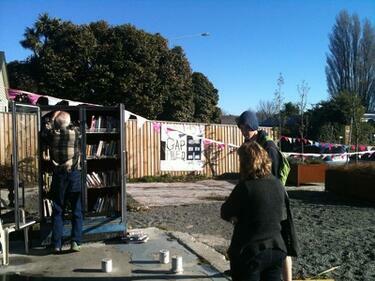 Members of the public exchange books at the opening of the Think Differently Book Exchange. 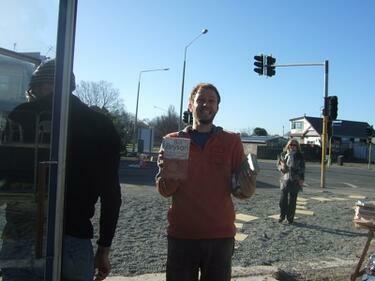 People were asked to bring along books that changed their life in some way. 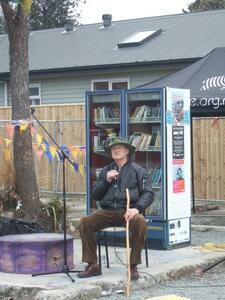 A book reading at the site of the Think Differently Book Exchange. 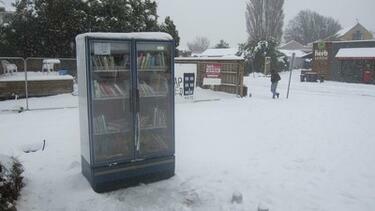 The Think Differently Book Exchange fridge covered in snow. 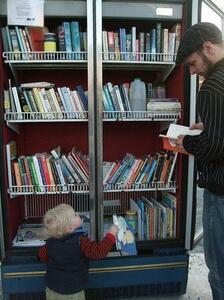 People exchanging books at the Think Differently Book Exchange. 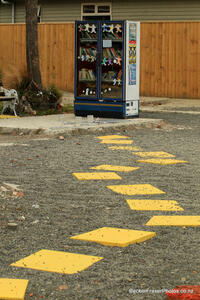 A photograph captioned by Paul Corliss, "Corner of Kilmore and Barbadoes Streets. 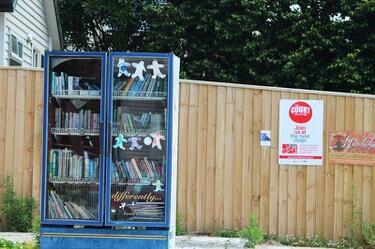 Gap Filler books in fridge".